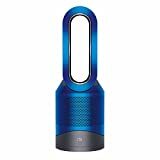 Dyson – Pure Hot Cool Link : Air Purifier Review • The Air Geeks, reviews of air conditioners, dehumidifiers and air purifiers. The Pure Hot Cool Link air purifier is a 3-in-1 system that effectively purifies the air in your space to eliminate various airborne contaminants. You can also use this appliance for heating or cooling your space. This unit employs HEPA filtration to trap a wide range of contaminants such as dust, pet dander, pollen, bacteria, mold spores, and household odors. In addition, it has an active carbon layer that removes bad smell from the air in your space. If you are planning to buy an air purifier and you are interested in the details of this unit, then you have come to the right place. We have tested this air purifier and researched about it to provide you with reliable information. We will start by exploring its features in details before we look at its pros and cons. HEPA filtration is one of the most effective methods of cleaning the air in your room. The Pure Hot Cool Link employs HEPA filtration to ensure that the air in your room is free from harmful airborne pollutants. This air purifier is capable of capturing up to 99.97% of airborne pollutants. In addition, it is capable of trapping microscopic airborne contaminants that are as small as 0.3 microns. If high concentrations of dust or pollen have been causing you to cough or sneeze, then you should consider investing in this unit. Are you tired of staying in an environment that is dominated by household odors? This air purifier has an activated carbon granules layer that removes bad smells from the air in your room. This activated carbon layer is also capable of capturing other odors such as harmful paint fumes. If you live in a place that experiences weather fluctuations, then you need a multi-functional unit. 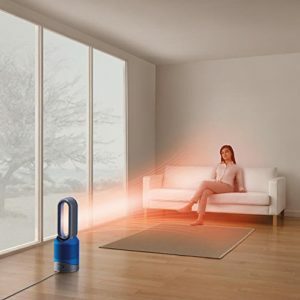 The Pure Hot Cool Link is a powerful air cleaning system that is also capable of heating and cooling your room. Its heater has a jet focus control that allows you to diffuse the heat or focus it on a specific point. This all year round appliance intelligently controls the air quality conditions of your room to ensure that you and your family are living in a comfortable environment. Are you looking for an air purifier that you can easily operate and control? If your answer is yes, then the Pure Hot Cool Link is tailored to suit your needs. This air purifier allows you to remotely monitor the air quality conditions of your home or office. To control your air purifier from your smart phone, you should download the Dyson Link app. With the app, you can get reports on the air quality conditions of your space as well as control your air cleaning system. The Pure Hot Cool Link offers different modes to allow you to select a mode that is best suited for your air cleaning needs. It offers the following modes: auto mode, easy-to-clean aperture, night-time mode, and sleep timer. You can easily switch from one mode to another depending on your air purification needs. The automatic night-time mode uses the quietest settings to ensure that the unit does not cause noise disturbances. If you are looking for a cheap air purifier, then you need to consider another option. The Pure Hot Cool Link is relatively expensive and it is, therefore, not a suitable option for people who are on a tight budget. It costs $ 600. Nevertheless, the unit offers impressive features that are not common in many air purifiers. Real-time air quality metrics. With the Dyson Link app, you can monitor the air quality conditions of your home or office and control your air purifier remotely. The Pure Hot Cool Link is a multi-functional unit. Apart from purifying the air in your space, this unit can heat or cool your room. 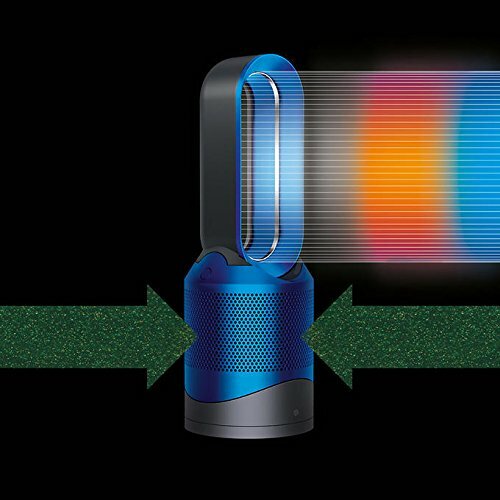 However, in extreme weather, you cannot solely rely on this air purifier for heating or cooling. Jet focus control enables you to control airflow depending on your needs. It allows you to either focus airflow to a particular place or diffuse it. Relatively expensive. This air purifier is relative expensive and, therefore, unaffordable to those with a limited budget. Ineffective in capturing cigarette smoke. Although this unit is highly effective in capturing common household odours, we have observed that it is less effective in capturing cigarette smoke. Works wonderful! We use it to keep our downstairs rooms at 65-67 and keep the air clean and moving. The remote and timer are great. " Throws a lot of heat and cleans up the air you breathe. It is on the expensive side but it really does the job , better than anything I ever had." If you are looking for an intelligent unit that allows you to remotely monitor the air quality conditions of your home, then you are most likely impressed by the features of this air purifier. On the downside, this unit is relatively expensive. Considering that now you have all the details about this air purifier, it will be easier to make a well informed decision.